For employers, Glassdoor offers effective recruiting and employer branding solutions via Glassdoor Talent Solutions. We help more than 1,500 employers promote their employer brand to candidates researching them and advertise their jobs to ideal candidates who may not be aware of them. What differentiates Glassdoor from other recruiting channels is the quality of job candidates we deliver and our influence on candidates' decisions as they research jobs and companies. Glassdoor is headquartered in Sausalito, California and was founded by Robert Hohman, Rich Barton and Tim Besse in 2007. 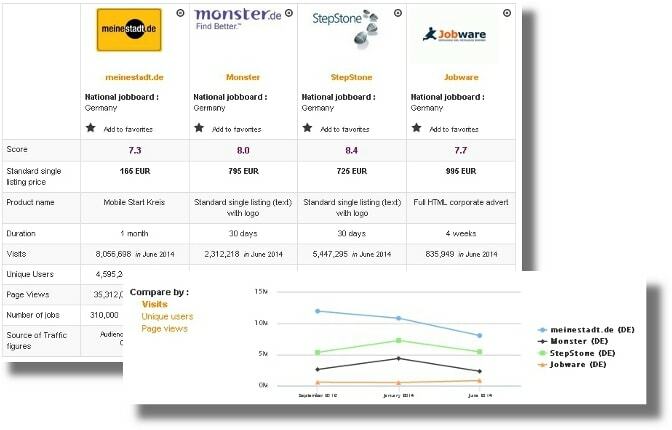 Glassdoor became famous worldwide because the website allows users to rate their employers. Current or former employees from companies can share relevant information for job-seekers such as salary, working conditions, hiring practices etc. 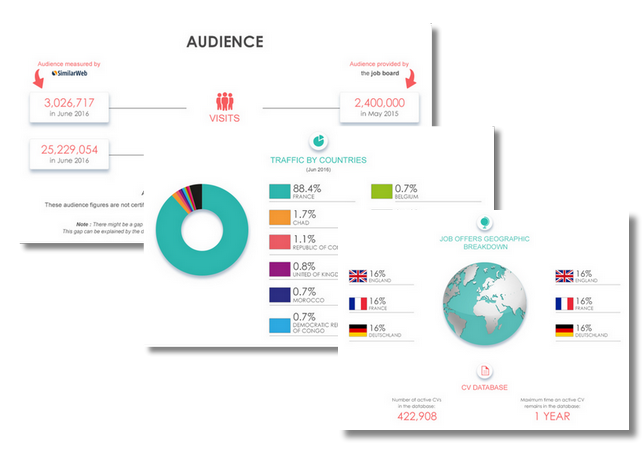 Glassdoor also provides good quality job offers all over the world. Although most visits are within the United States for Glassdoor U.S., almost 5% of visitors come from India (SimilarWeb). Traffic has been really consistent since December 2014 with 24,000,000 estimated monthly visits on average. Login here for FREE to unlock access to the traffic audience, content and pricing section for more information on Glassdoor. 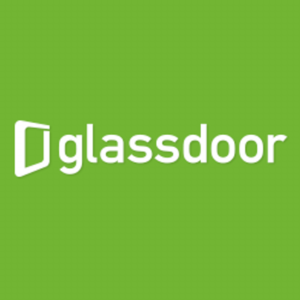 Glassdoor: one of the fastest growing job sites in the U.S.
U.S. job board Glassdoor revealed recent traffic figures that make them one of the top four largest job sites in the U.S.